Did you know there's WAY more to Google than just typing a word or phrase into the little search box? Have you ever clicked the "Advanced Search" link at the bottom of the search results page? There you'll find a variety of useful searches. "Find pages with..."- These options will narrow your search by including or excluding specific words or phrases. "Then narrow your results by..."- Check out these great options for narrowing results by language, last update, specific site, reading level, file type (.docx, .pptx, .pdf, etc.) or usage rights (copyright free). QR Code Auto Generator- Great for Creating Lots of Codes at Once! Want to make QR codes to your students' online projects but the thought of doing them one by one is scaring you away? Have no fear! 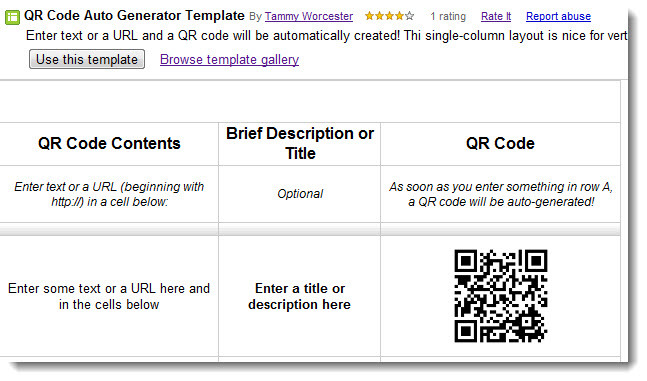 The amazing Tammy Worcester has designed a Google Spreadsheet template that will automatically create QR codes for you! Just paste in the desired URLs and let the spreadsheet do the work. To access the template, go to https://docs.google.com and login with your Google account (you can create one for free if you don't already have one.) Click CREATE and FROM TEMPLATE. Search the templates for QR and choose "QR Code Auto Generator Template". Then just follow the directions on the spreadsheet to create and print your codes! UPDATE: If you have a problem printing your codes, try going to FILE and DOWNLOAD AS HTML. Then you should be able to print from the HTML. For more information and specific instructions, go to Tammy's blog. TCEA Highlight: Shoeboxes, Wikis and Blogs... Oh my! This TCEA presentation from Keller ISD showcased using a wiki approach to frame the research process. Students use their own wiki page to brainstorm and narrow topics, collect resources, take notes and reflect on their learning process. 1. What do I want to know? 2. Where can I find my answers? 3. How will I keep a record of the answers that I find? 4. How will I share what I learned? 5. How will I know I did a good job? This is a great printable resource for students to track all the phases of the research process. Use it as a written journal or convert to a wiki page so students can work on their project from anywhere that has Internet access. To learn more about the iSearch method, go to http://www.isearchusearch.com. Ready to get started using wikis in your classroom? Check out the GCISD online course "Classroom 2.0: Wikis" in Eduphoria Workshop. It's available 24/7! How have you used wikis in your classroom? Leave us a comment to share your ideas. QR codes. They're everywhere... in magazines and newspapers, stores and restaurants. So what are they and how can you use them in your classroom? A QR code (abbreviated from Quick Response code) is a two-dimensional barcode that is most commonly encoded with text or a web URL. The code usually consists of black modules arranged in a square pattern on a white background. To create a code to text, click the TEXT tab and type or paste in your text. To create a code to a website, click the URL tab and type or paste in the website URL. The code will automatically be created on the right. Click the OPEN button. To print the QR code: Click FILE and PRINT. 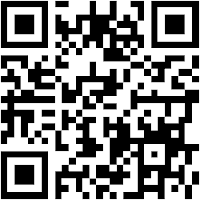 To save the QR code as a picture file to add to worksheets, blogs, wikis, web pages, etc. : Right click the code and choose SAVE PICTURE AS. How have you used QR codes in your classroom? Leave us a comment to share your ideas!